Lyndhurst Primary Breakfast Club aims to provide pupils of all ages with a safe and fun place to start their school day. 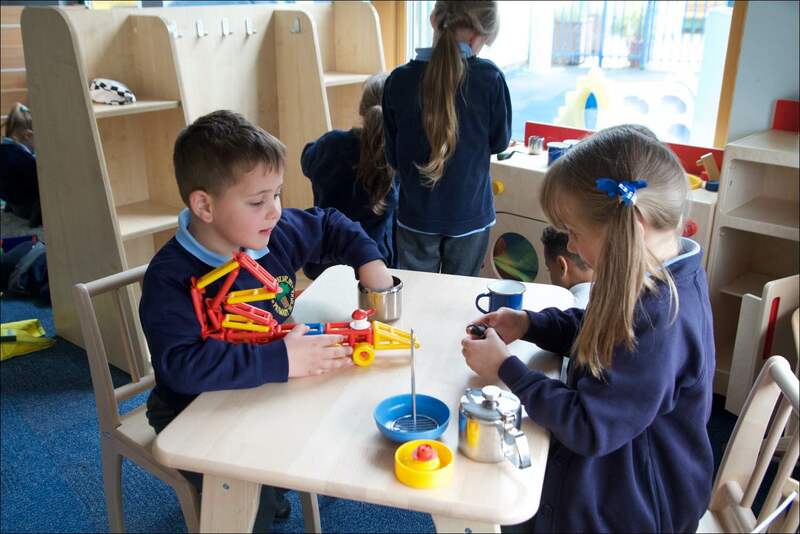 Breakfast Club is open to all pupils and we will do our best to accommodate the needs of your child. If your child has special needs/disabilities and requires extra support, please discuss this with Breakfast Club staff. The club is informal and friendly, allowing children a choice as to how they start the day: some children like to wake up slowly, others prefer to get on and play. The club provides both a quiet space (for reading, etc.) and a free play area, as well as more structured activities. Play, rather than education, is at the heart of the club. Each morning a nutritious breakfast is provided. The children are encouraged to help themselves, sit down and talk together, and then clear up their dishes: the idea is that our breakfast replicates as far as possible the atmosphere of a family meal. At the end of the session, the children are well fed, happy and ready to learn.